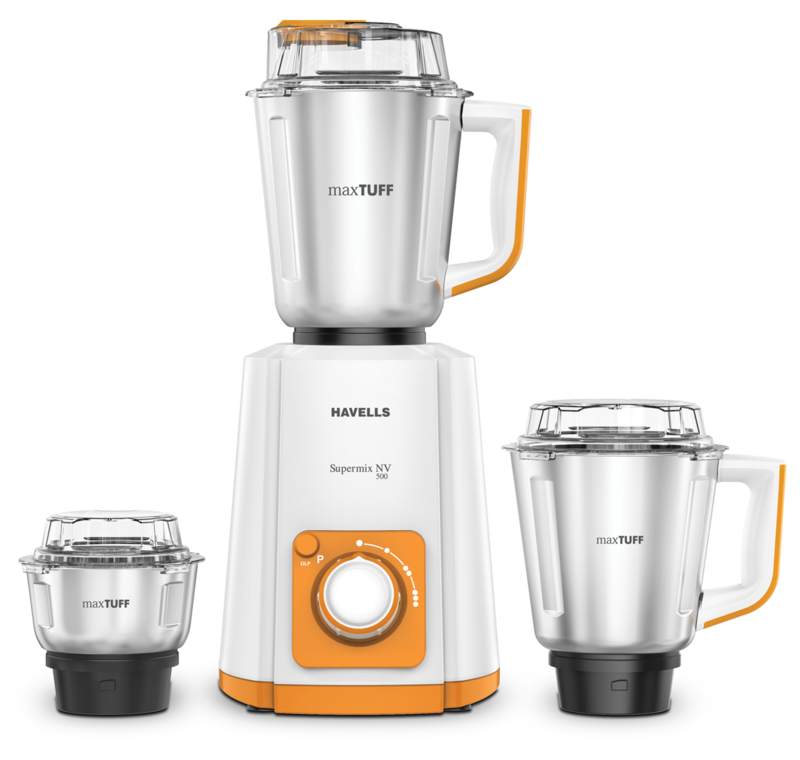 This havells mixer grinder has 500 watt copper winded motors which lead to longer life of motor & superior performance. It's stainless steel 'max tuf SS-202 jars & SS-304 grade blades does not readily corrode, rust or stain with water as ordinary steel does and food grade 304 stainless steel blade gives super fine mixing and grinding results. To Recieve updates and possible rewards for Havells Supermix NV please sign in. To Recieve updates and possible rewards for Juicer Mixer Grinder (JMG) please sign in.